The swimming pool is open all year on monday and wednesday, except during the school holidays. 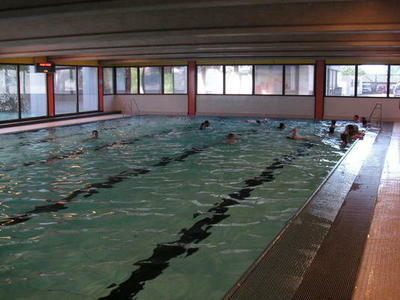 An indoor and heated swimming pool. Infrastructures : a semi-olympic pool, two indepedent mobile depth, four springboards. Asian restaurant situated opposite de swimming pool building, on the other side of the road. Open hours : 6.15 pm - 9 pm.